This gorgeous blue/green and white pullover jersey is perfect for any cool day. Hand-knitted by Gro’ma with cotton. This gorgeous blue/green and white pullover jersey is perfect for any cool day. 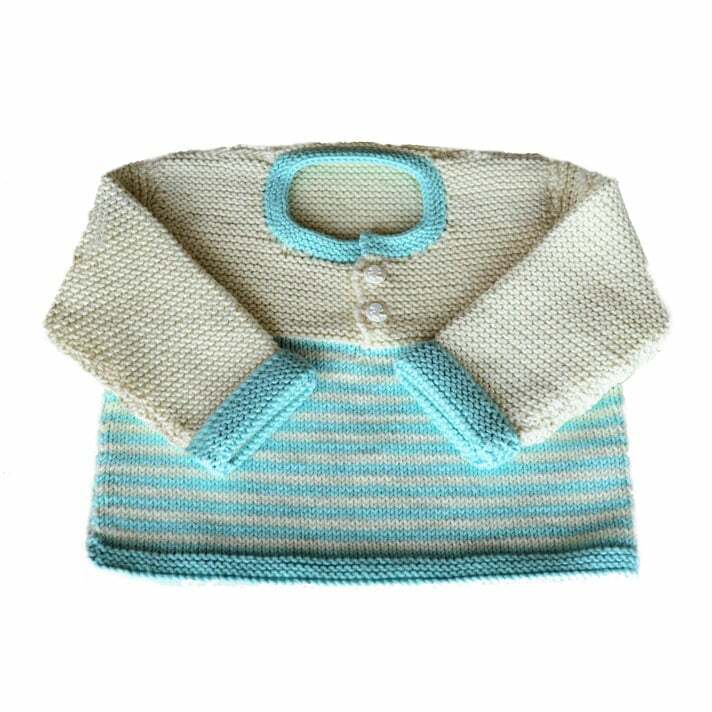 Hand-knitted by Gro’ma with cotton to ensure only the best for your little one.